Learning is Fun has been located in St. Timothy Lutheran Church since 1974. 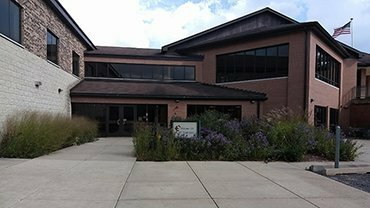 We are very proud of our facility and take care of it! We have beautiful classrooms that are spacious and bright with lots of extra room! 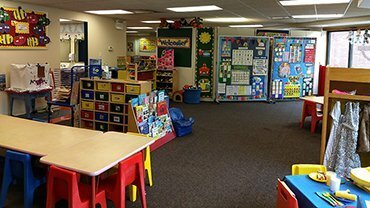 All our equipment and materials are up-to-date, well maintained and are changed frequently to expand children’s learning and inspire their interest. Learning is Fun has a beautiful outdoor fenced playground. Commercial equipment fosters safe and creative play. The bonded soft ground surface keeps children dry. We play outdoors only when the weather is comfortable. 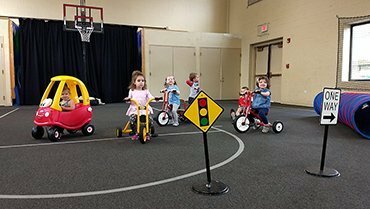 Otherwise we play in our huge indoor gym with riding toys, ball games, relays, running, dancing to music and obstacle courses. 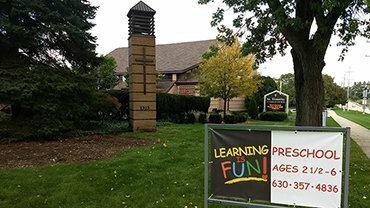 Learning Is Fun preschool is located at St. Timothy Lutheran Church across from Mill Street Elementary. The entrance to Learning Is Fun is located in the back of the church on the lower lot. This gives lots of space for drop-off and pick-up process to run smoothly and safely. Learning Is Fun has classrooms with lots of room for the many programs and activities. Learning Is Fun has spacious areas for learning, playing and having FUN! 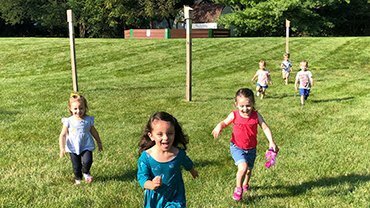 Learning Is Fun has outdoor space great for creative and energetic play! 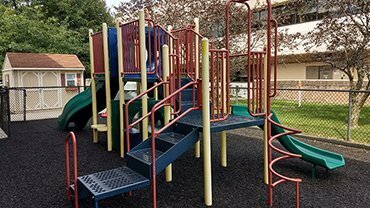 Our outdoor space includes a playground that is large, well maintained and fenced in.